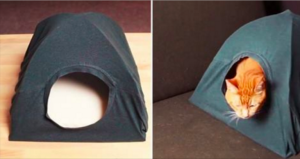 Homemade cat tents offer a cozy place to house your cat indoors without burning a hole in your pocket. 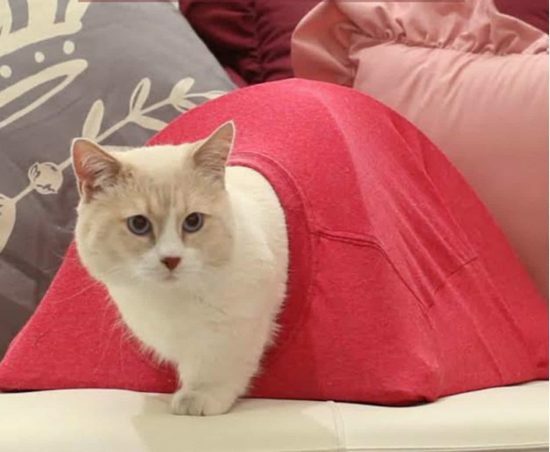 They can be made of T-shirts that keep your kitty warm in the chilly winter months. The tutorials enlisted below show you how to make them in a variety of ways. 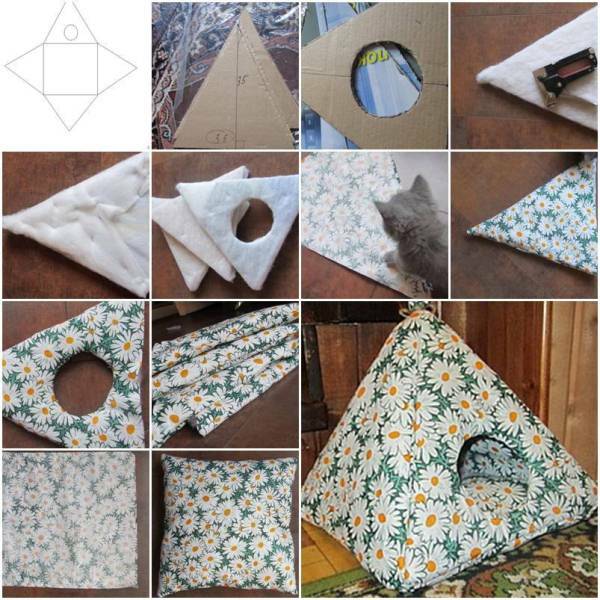 This cute cat tent can be made with just a few things easily available at home. They are, a piece of cardboard, two wire coat hangers and an old T-shirt. 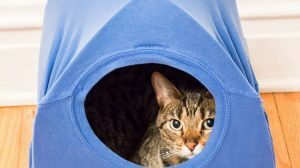 Your cute mass of fur would be super-comfortable in this smart red cat tent made by recycling an old T-shirt and wire coat hangers. Pliers help you in shaping the wire and tape and safety pins keep everything in place. Not to forget the cardboard that forms the base. 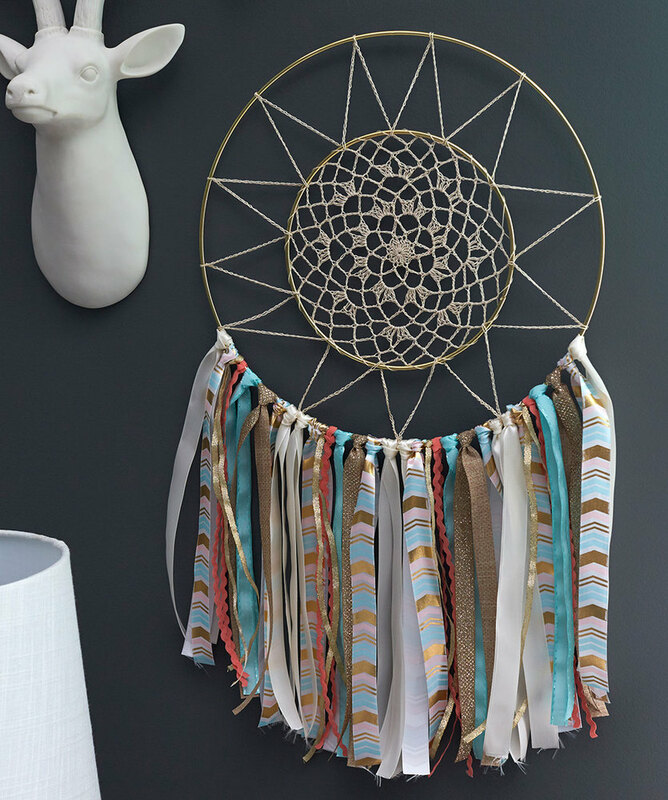 This DIY differs from most of the other tutorials in the materials used. 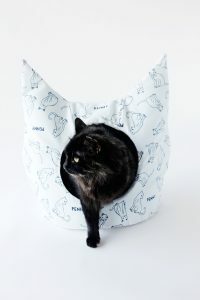 It uses a canvas with a floral pattern on it (you can choose any pattern you like) and something soft such as cotton or sponge. 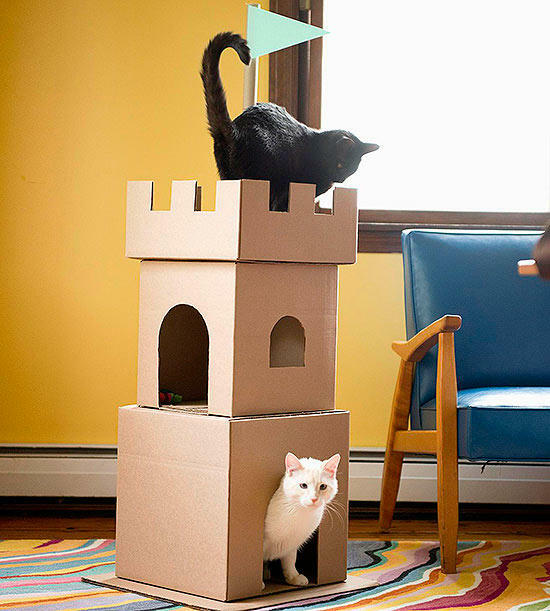 Apart from these, you need the regular cardboard. This lovely cat tent needs you to recall or rather, apply your sewing skills. You can involve kids in the building process to share the fun. 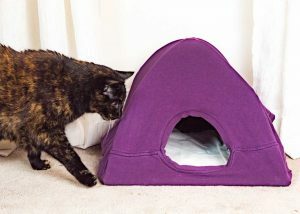 Secure your cat’s privacy by setting up a cool handmade cat tent for him. This one is shaped like a box and helps him to hide if he ever feels scared by fireworks or unfamiliar guests in the house. Do not throw away an old litter box. 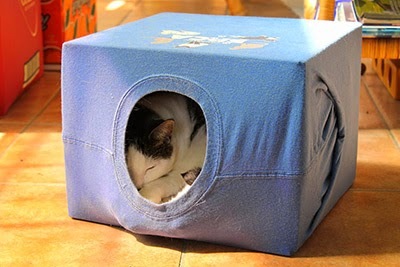 Recycle it for sheltering your feline friend. You would have to start by cutting off the front of the empty litter box. This step by step is written in a foreign language. Just right click on the page and select “Translate to English” from the menu. One thing is constant in all the guides. 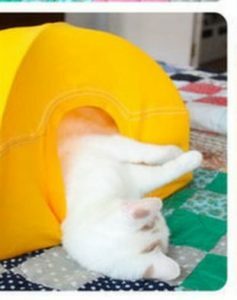 They allow you to recycle and how! 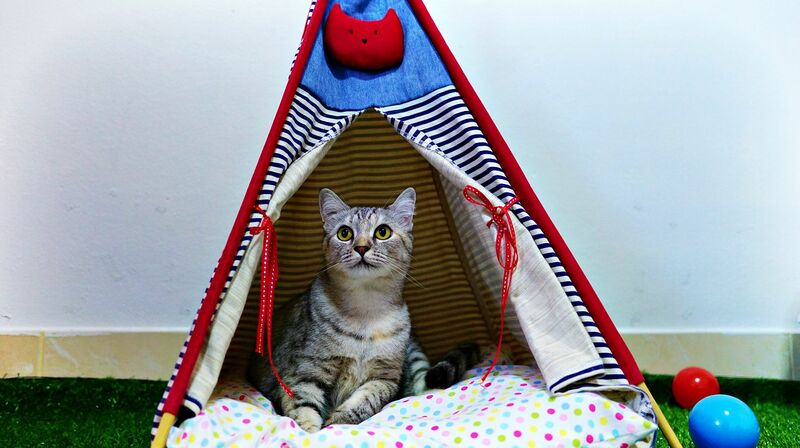 We are sure you kitty would love playing in the tents made by you. 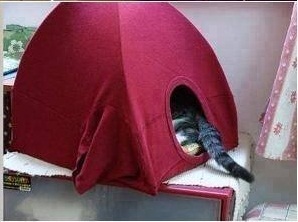 Once he has his home, he might as well stay holed up indulging in its comfort.